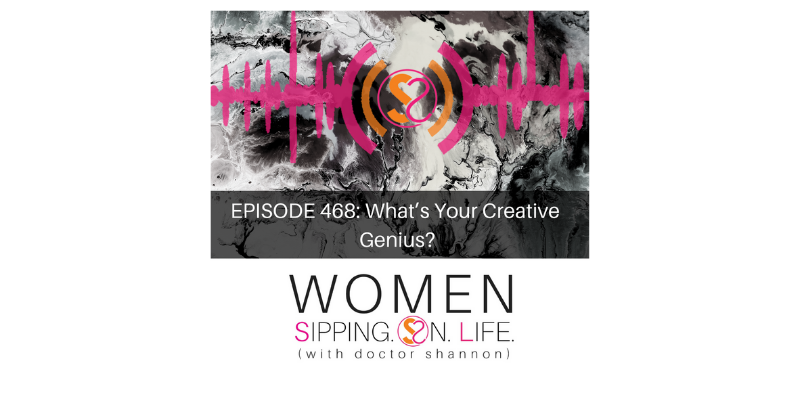 EPISODE 468: What’s Your Creative Genius? Your GENIUS is not only creative, it’s intensely powerful. It allowed you beat to the odds of 400 trillion to 1, and continue creatively creating. What have you done with it lately? Today I reveal the inspired power within you that has the purpose of creatively expressing itself as your Life’s Work. Write down what you’d like to create, then set your journal down. Grab some creative supplies, and begin to creatively play. I’d love to hear what happens for you.